Chemical and petrochemical facilities have complex tracking needs. There is typically a large amount of data to track, numerous pieces of equipment to monitor, and many users requiring access. Business rules and escalation of notices must be strictly adhered to. Security must be robust to prevent unauthorized users from accessing and changing log entries. Reporting requirements are stringent, as data must be accessible quickly and easily. eLogger electronic logbook software meets the rigorous logging requirements of chemical and petrochemical manufacturing and processing plants. 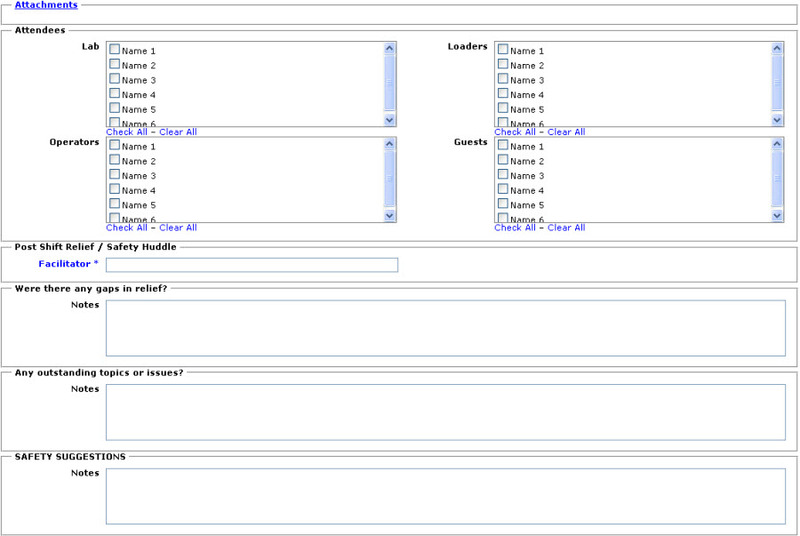 Its SQL database is scalable and easily queried, using built-in reporting tools or your reporting tool of choice. Integration with process historians, maintenance management systems, and ERP applications is easily accomplished. This entry is filled out daily by the Run Plant Engineers (Campaign Team Leaders) and Ops foreman. Its purpose is to give work instructions and pertinent information to the Night Shift, weekend shifts and also orders for which to work from until the next day when priorities can be reassessed. 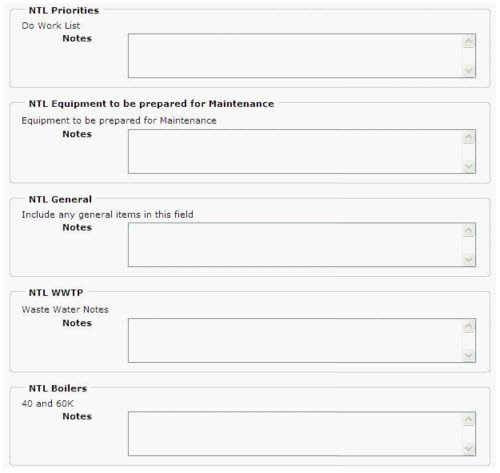 Only a portion of this form is shown as it continues to list all the units and the spot for their associated instructions. The Post Shift Relief / Safety Huddle log is filled out to capture the daily on shift communications. They include Safety and the known status of the plant.